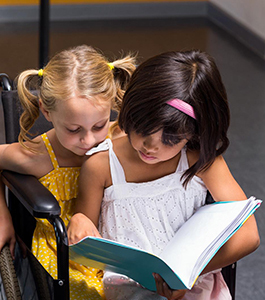 Minnesota Valley Education District (MVED) provides resources and guidance to schools and families who serve children with physical, mental, or emotional disabilities. We believe in the worth and dignity of all people and that all children can learn. Our specialists offer consulting and training services to our member districts and work hand-in-hand with parents to ensure proper screening and due process. We want all children to receive the services they need to thrive. We also offer a direct intervention program at Minnesota Valley Schools (MVS). In this setting, we provide individualized academic plans for students identified as needing more structure, support, and modifications than can be accommodated in the traditional academic setting. All people have worth and dignity. We create more understanding of each other’s needs through communication and listening. Learning is continuous and lifelong. Change and conflict are inevitable. We create more opportunities through cooperating.